Cottage was lovely on the inside. The outside of the cottage, walls and porch, was rather dirty and cobwebby. It could do with a clean and a new coat of paint. The vegetation around the access road needs to be cut back more regularly. 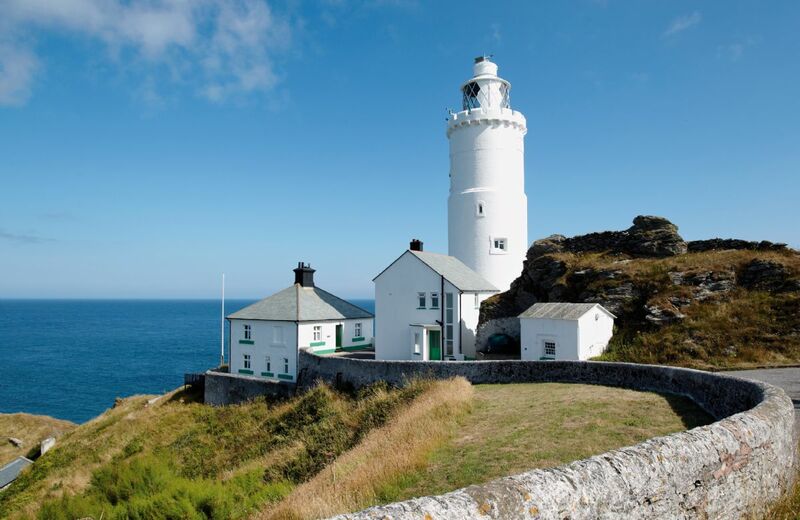 I love Start Point Lighthouse and Landward Cottage. This was our fourth visit I've already booked to go there again in a few weeks. The remote location - that there's nothing there but a lighthouse and two cottages - the house itself is beautiful and has everything you need but with no emotional attachment - the way the house seems to welcome you in, is comfortable and relaxing - the high vista over the sea - being able to look down to see seabirds flying - the clean air - the way after a couple of days you find yourself running up the stairs and charging up hills - the lack of 100,000 telephone signals going through your head - the beaches and the sea - watching the weather coming and going - sitting at the stone table watching the boats - that food tastes better there - that everything is kept so clean and everything works - that there is a basket of really lovely things awaiting you when you arrive. That doesn't happen on its own and Steve and Fiona do a fantastic job in keeping the place in such a lovely welcoming state. Best of all I love laying in bed watching the beams from the lighthouse swirling around in the sky above - I try valiantly to stay awake but one, two, three - I've gone. I sleep so soundly there. Landward cottage is much smaller than Beacon cottage but I prefer it - it feels more like home to me and going into Beacon feels like going up to "the big house". It might not be your thing - you might not feel the same delight in the place that I do - but there is every possibility you would be in for a treat. Our second stay in a perfect secluded spot Shall miss it nect year but it is ready for an update. Cottage was comfortable but too many hand written notices telling you not to do things as things didn't work properly ie guttering and windows. Absolutely amazing location with awesome views. A beautiful house with everything you need. We will definitely be returning. Thank you. Fantastic location. Bedrooms & bathroom great ... clean crisp linen and very comfortable bed. Kitchen could do with improvement (eg new work top). Blind not working properly in the lounge. 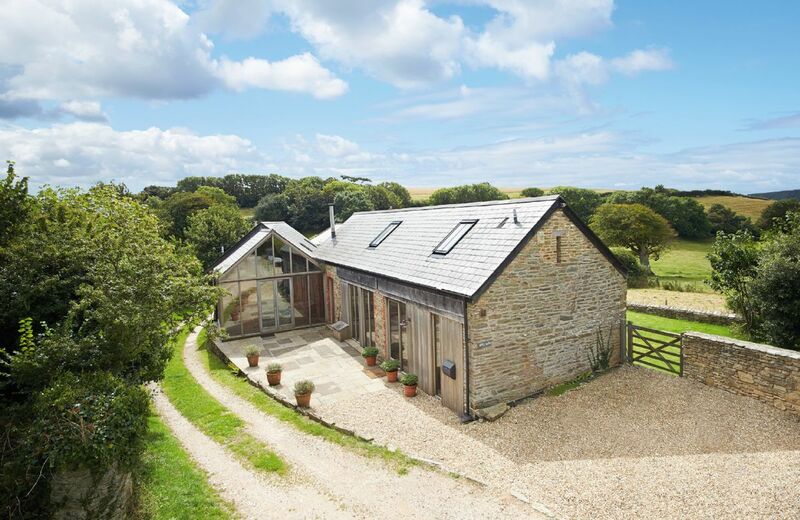 Beautiful cottage in a great location - a wonderful place to get away from it all. 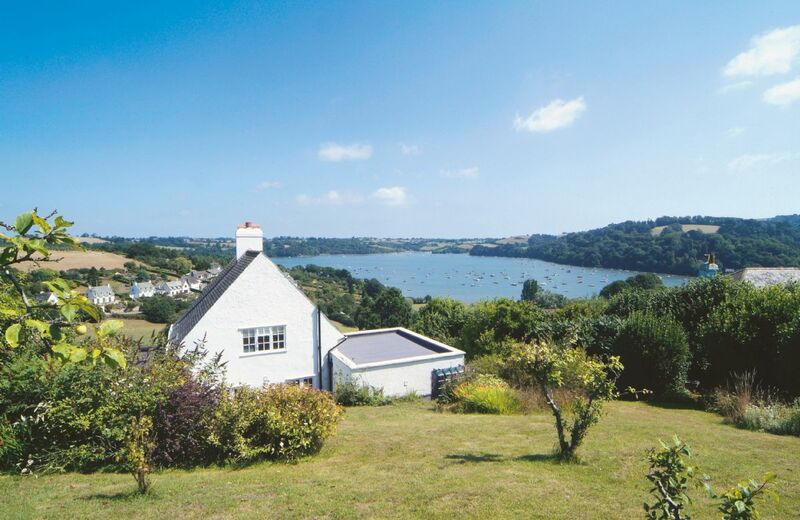 Lovely cottage, great views, fabulous welcome pack. The perfect holiday. Outstanding beautiful scenery secluded and away from everything. Loved the light house with fog horn and all. I would stay there again in a heart beat. Thank you for the fab basket of goodies. 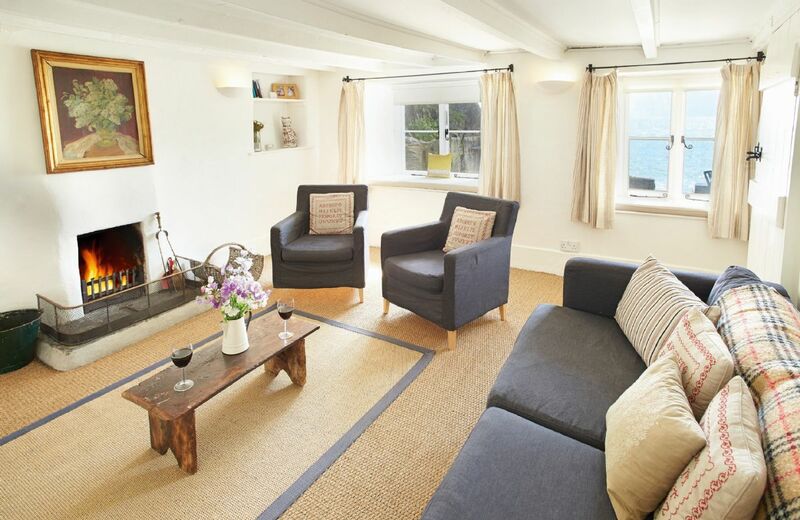 Nicely furnished, clean and comfortable cottage in stunning location. Stunning location. A very special treat to stay here, watch gannets feeding in the bay and stand under a starry sky with the light sweeping across. 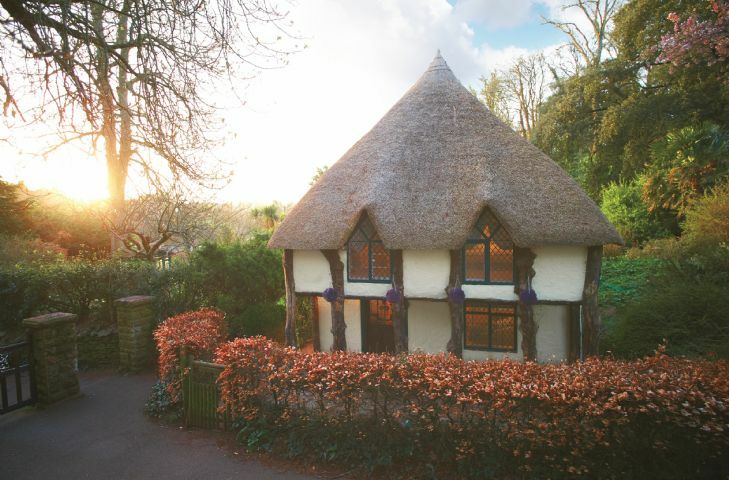 Lovely cottage. Be aware that there is steady stream of visitors for lighthouse tours. Love lighthouses! Comfortable cottage in a stunning location with everything we needed. 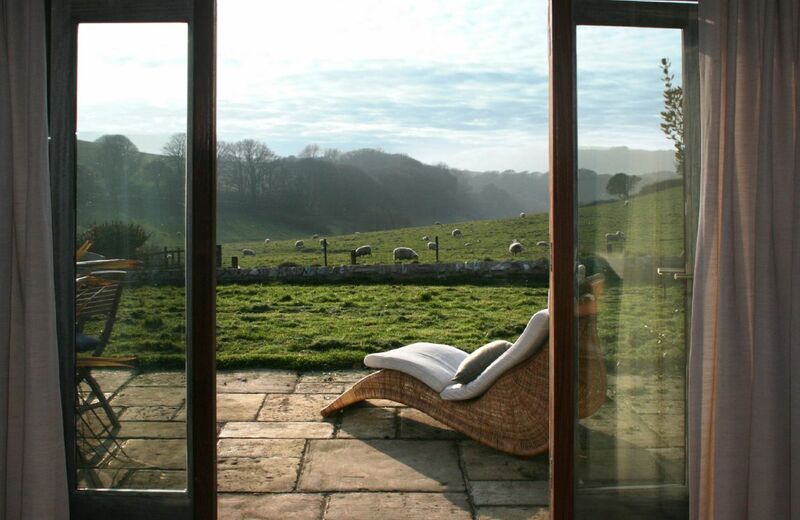 We have usually had good experience with rural retreats. But this property was so badly maintained that we were aghast. Basic amenities such as pepper or oil was missing in the house. The wifi was pretty much not working. In fact the wifi password and username was hidden without any instruction that it took is 3 hours to locate. The condition of the property was bad since it was quite dirty and frankly I feel ripped off for such poor quality stay. 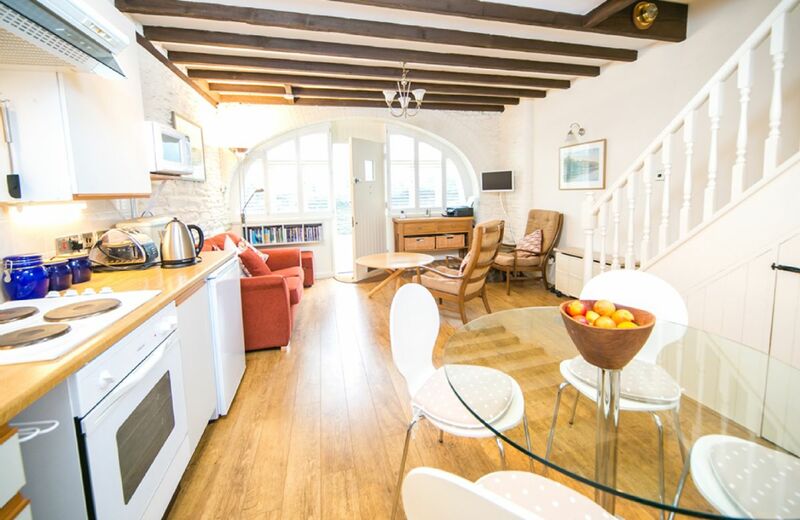 Well furnished and equipped, with plenty of cutlery and crockery, as well as dish washer! The only reasons for not giving 5 stars was the lack of a second toilet, although not much can be done about that, and some cutlery and crockery was not really clean on arrival - but I imagine that was down to previous guests rather than the housekeepers. Thank you for your feedback and kind comments about the property. My apologies about the cutlery and crockery and although a second toilet would be nice unfortunately there isn't the room to put one in. 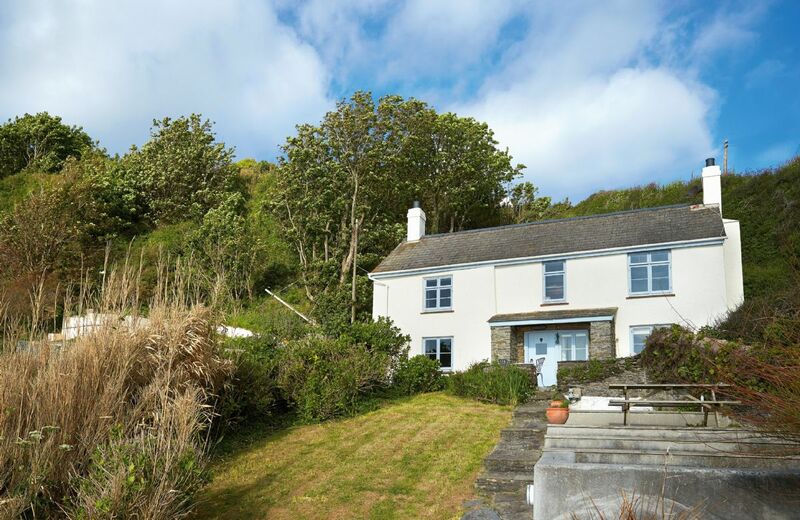 Adjoining the Start Point Lighthouse on a dramatic headland above Start Bay, the cottage has accommodation for five guests. Features include oil central heating, electric effect wood burner, electric hob and double oven. 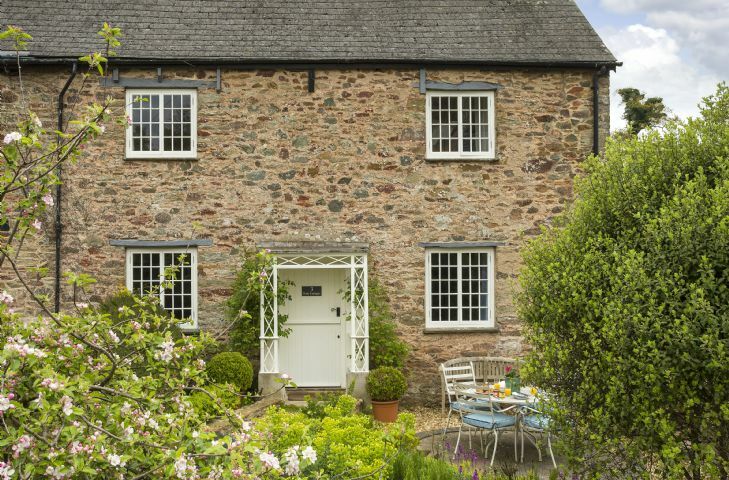 Rose Cottage is a beautifully renovated 400 year old Grade l listed stone cottage with a pretty cottage garden in a quiet location close to the 14th century village church and award winning Durant Arms. 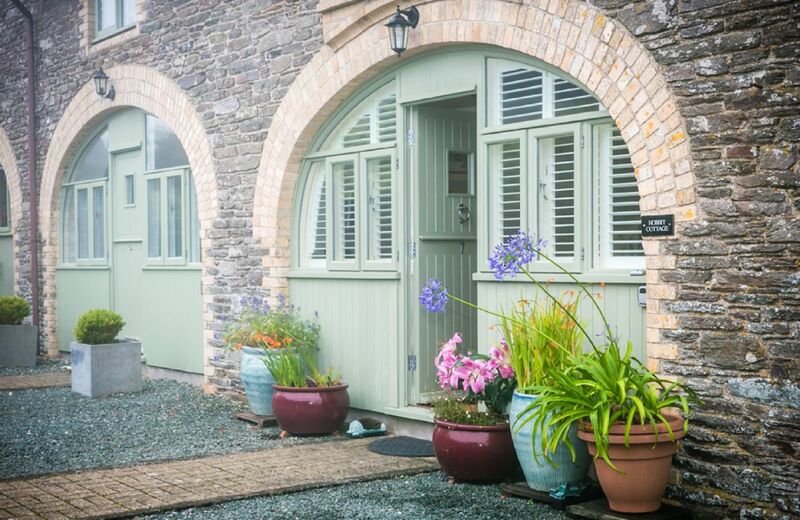 Lovely tranquil location and very well presented historic spacious cottage. You can even have a guided tour of the adjoining lighthouse. Views are breathtaking. Breakfast on the balcony is amazing. Just be prepared for the tricky drive down long narrow lanes! 3rd time at Beacon Cottage, and I will go again. A great place to rest and chill out, fantastic views. Die Liegenschaft und die Verwalter waren super. Einzig die Kommunikation per Telefon im Vorfeld hat mir nicht gefallen. Durchgeben von Konti etc. anstelle Erhalten eines mails hat mich etwas Nerven gekostet. 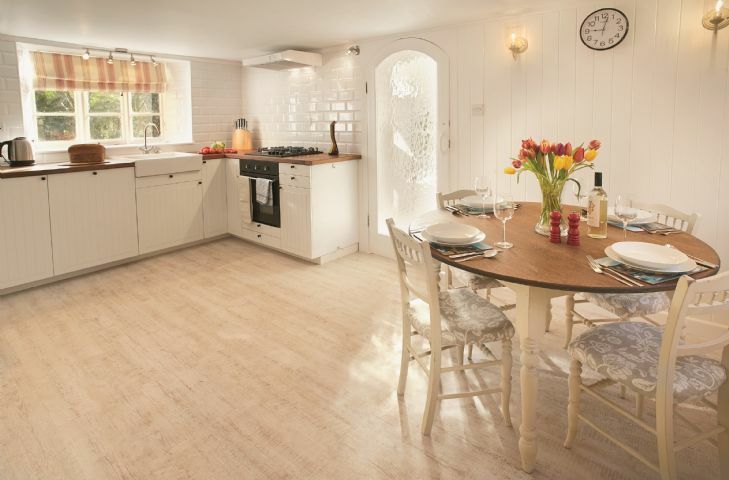 Well equipped holiday cottage with beautiful decor! Spectacular location! Ticked every box! Spotlessly clean warm and very comfortable. Kitchen very well equipped and magnificent views. Dissapointments, size of tv only, had taken a number of films to watch but TV size made it impractical. Wonderful location. Very clean and tidy. Very good hamper on arrival. Amazing place to stay, beautiful cottage, with everything you need, warm cosy, clean . Beautiful views. Location. Quality. Narrow access road but didn't meet any other vehicle! Wonderful property, wonderful views and just heavenly! Wow, what a perfect review for Beacon Cottage. Spacious. Brilliant location & fabulous views. Very clean. Addition: the bolt on the main gate to Lighthouse compound needs a good oiling/greasing. VERY stiff and heavy to move back. The rain came in through the outer backdoor. Thank you for your feedback on this property.We welcome all information as this helps us continue to grow as a company.We are glad that you found the property to be so spacious,with great vies and location. I will pass on to Housekeeping your comments,they also appreciate the feedback.With regards to the Bolt ,we have just changed this, these do have a tendency, due to sea air to rust .So i can only thank you for bringing it to our attention. The door in question is still the original and does tend to take the brunt of the weather. Everything clean and in top condition. We particularly loved the little extras like the welcome basket, the Christmas tree, etc. Instructions easy, extremely clean property and everything is there. Recently redecorated and new furniture. Clean and tidy. Absolutely stunning location and immaculately kept; arrival instructions were also clear and friendly. 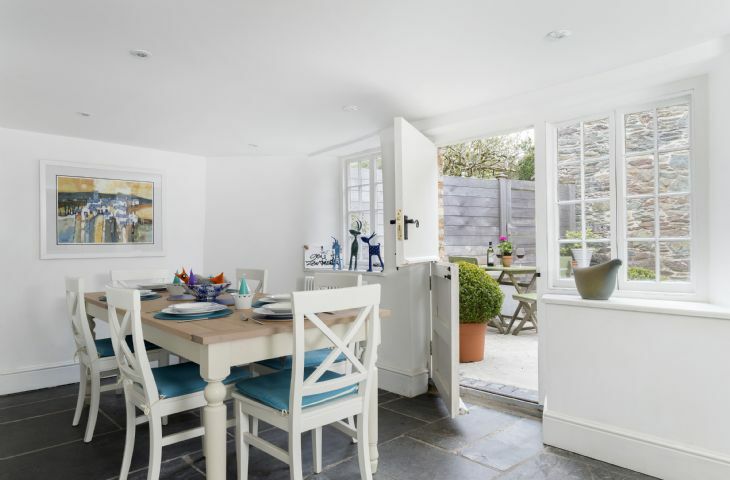 This detached cottage has accommodation for six guests. 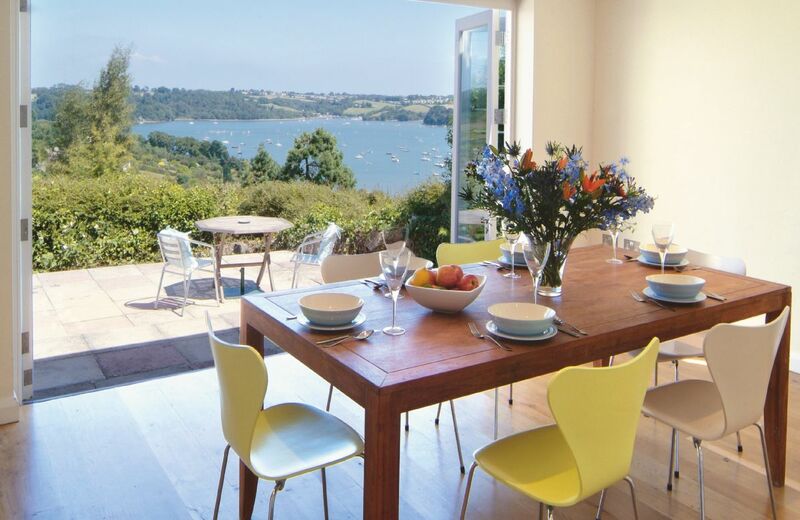 Perched on the cliff edge it enjoys breath-taking views across Start Bay. This unique accommodation includes a decked patio area overlooking the cliffs.